Next Gear Solutions, Inc., founded in 2008 and headquartered in Oxford, Mississippi, develops and provides restoration management software solutions for the restoration industry. 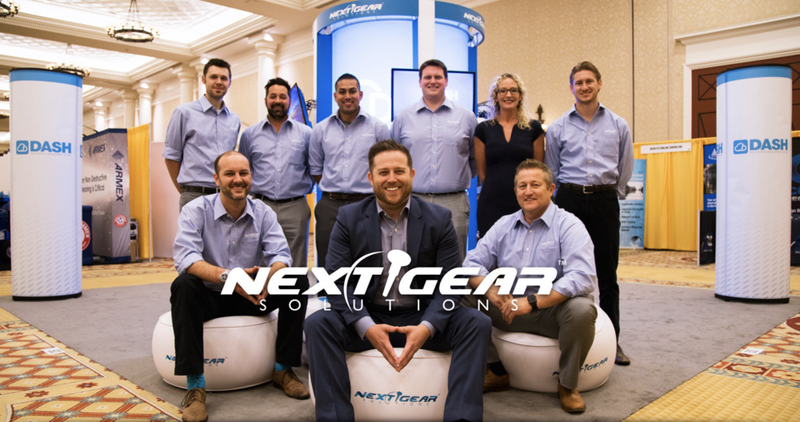 Among its robust suite of tools and applications, Next Gear offers DASH, a Web-based restoration management software system that allows restoration contractors and restoration companies to streamline their job management, company marketing, customer contacts, equipment, work order requests, calendar, reporting, business accounting, and job estimating into one integrated restoration management portal for efficiency across their organization. Next Gear also provides moisture monitoring application tools that help restoration professionals rationalize the drying process with pre-programmed IICRC S500 recommendations built within the application; and consulting services, such as administrative system, lean processing, marketing development, public relations/media, and coaching solutions. For more information, please visit www.nextgearsolutions.com. The team at Next Gear Solutions has re-imagined Restoration Job Management for Restoration Contractors with DASH Enterprise. Restoration Contractors work in extreme conditions to service their customers, and Next Gear believes it is their responsibility to help any way they can. That is why Next Gear has built Restoration Job Management tools that are as mobile as the phones they carry. They make it easy to track equipment, upload photos, and speak notes directly into the job file. Restoration Management Software should be more than just software; it should be a solution that starts with a feature-rich product and is backed up with five star service and support. Job Management Software is any software that enables an organization to better manage jobs. Job Management Software will typically have the ability to create a job that acts as a “folder” to collect information about that job. Work Flow and Task Management is typically found in most Job Management systems as well. Restoration Management Software is sometimes what many call Job Management Software for a Restoration Contractor. With so many non-insurance restoration job management softwares on the market, it is important to understand why choosing an industry-specific Job Management software is important. 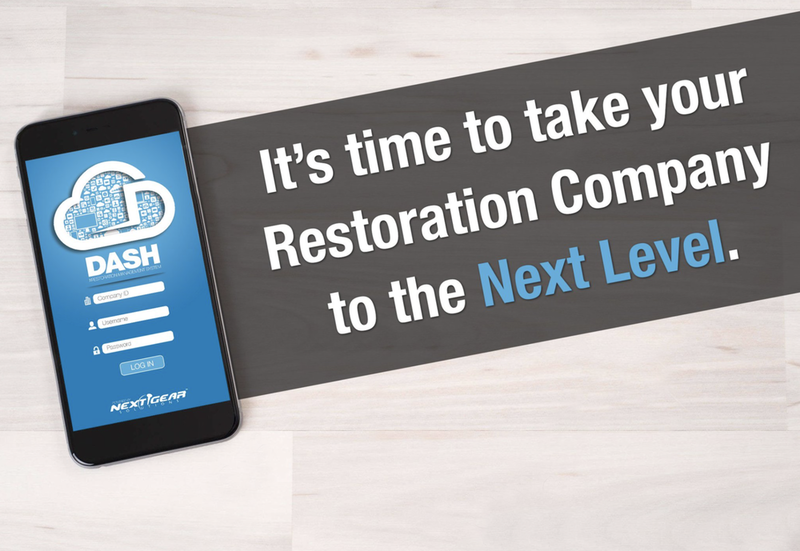 DASH is the restoration industry's premier job management software. See for yourself what others in the industry have already discovered. "Real time. Secure. Robust. Integrated. Intuitive. Based on 15 years of system implementations, I would say that DASH is one of the best industry specific applications I have ever used." "We have been using DASH for over 2 ½ years now and can not say enough good things about the Software and the people behind the software. Other Software that we had in the past would always make promises on “fixing” an issue or “taking a suggestion”… I would have to say that that is one of best things about this company is that they listen to you and help you fix the issue right then if possible. If it’s not a quick fix they don’t just forget about you. They actually follow up with you and let you know when it has been repaired so you can actually tell your team that the problem has been resolved keeping everyone on the same page." "One of the best things about DASH that I have experienced is that I can get real time information about what’s going on with my company at any given time, even when I’m not in the office or traveling. Another great feature is that all of our job/client information is in one place; no more searching for paper files around the office. DASH has truly brought great organization and efficiency to our company. Thank you to everyone on the DASH team for all the great support you provide us." "Using DASH software has allowed me to not only keep up with the restoration jobs that I am bringing in through my marketing efforts, but it also allows me to follow the work status on the jobs so that I can keep the insurance agents and adjusters up to speed with each job MacKenzie Restoration is working on for them and their customers. Thank you DASH for all that you do!" "DASH has changed the way we do business. Now that we have started using it, I don’t know how we ran our business before… Their consulting has helped us, and continues to help us, make great decisions and push us back on the right track to success. With the knowledge and experience of Next Gear and their consulting services we are very motivated and encouraged about what our future holds." "DASH is an extremely powerful tool that we are currently implementing in all phases of our operation. The amount of information available through this one program is mind-boggling. The time savings for my staff will be substantial, and communication with our customers, adjusters, and agents will be dramatically improved, while not costing us any additional time, not to mention what a valuable marketing tool DASH is. I honestly feel we made a good choice in purchasing this program." "There are many other things I can speak to, the list goes on and on but I think this gives you a clear picture of how excellent this product and the service is. For me I see the strategic benefit, it allows us to build reports so that we can identify our most profitable customers, types of jobs, estimators etc. and adapt our business accordingly. It enhances our service to our customer; we can make sure we are compliant with our customers’ timelines etc. It keeps our Project Managers informed 24/7 if they desire on their jobs and the status of said jobs. Even typing this I am excited about the program, it is changing our world!"